Before you leave the country, make sure you have a valid passport. If you’re going to Australia on the Working Holiday Visa, enter the country with at least 15 months before the expiration. The US State Department recommends you renew it nine months before your passport expires. It may also take up to 10 weeks to receive your new passport. Plan accordingly. Before you move abroad, it’s likely you will need a visa before you enter your new country. Australia requires US citizens to apply online and pay a fee to get their Working Holiday Visa. It’s the same for other countries like Ireland, New Zealand, or Singapore. Be prepared for the worst. Keep certified copies of special documents to prove your identity. The Postal Annex it was quick easy and cheap to get my papers certified. Once abroad keep them in a safe place. Keep the information of your nearest embassy written somewhere safe or on your phone. I mention this in nearly every post, but it’s imperative to have travel insurance. It will cover lost baggage, accidents and more. You will thank your lucky stars for having travel insurance. If you take any medications, bring enough for your entire trip. Ask your doctor to write you a note validating your medications/prescriptions. Have them include an updated prescription and the name of any of your medication including generic names or trading names. Some countries may require you get vaccinated before you enter. It’s always better to find out if you need vaccinations when you’re in your home country. Check with your doctor and get vaccinated before you leave. It’s always smart to have cash on you when you enter your new country. Local banks will give you a better exchange rate versus using banks abroad. If you don’t have time to make it to a local bank, you can also get cash at the airport, but the exchange rate may not benefit you. Many banks and credit cards have agreements with international financial institutions. Check if your bank or credit cards has an alliance with your local banks. On the other hand, your bank/credit card may have foreign transaction fees. Do your research before you leave. If your bank or credit card has high fees, look for a card with no fees. Credit cards with rewards may provide a bonus when you use it overseas. Learn how you can maximize your points for future travel. If you want to get the most bang for your buck, track the currency. My favorite app is XE. You can add the updates to Today View of your iPhone too. Something I check every day! It’s always smart to have access to a phone when you’re abroad. Providers, like T-Mobile, have agreements with foreign mobile providers. When I was in Mexico for a month, I had no trouble using my phone. If not, understand the fees for using your phone abroad. It's likely it will be expensive. If you don’t want to use your phone abroad, you may want to cancel or suspend your service with your provider. When I first moved overseas, I suspended my service with Sprint and paid $5 a month to keep my phone number. Once I arrived, I got a pre-paid Australian sim card for my iPhone. Keep in contact with friends and family with free messaging apps. My favorite is Whatsapp, but you can also use iMessage for iPhone, Facebook Messaging, and more. Before I left for Australia, I thought I did all the right research. I was wrong. I used my 120 voltage hair straightener with a voltage converter and an Australian adaptor. Five minutes later the light went out, the straightener started smoking, and had frizzy hair for the next month. You need the right adapter, voltage converter, and dual voltage appliances. 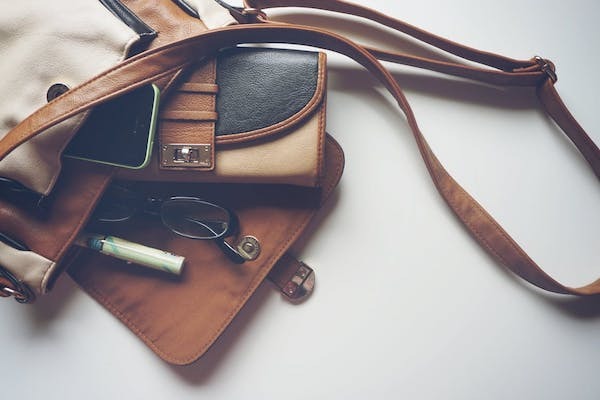 Here are some essentials that have been key for my travel and living abroad. If you have the Google Maps app, you can download an area of a map to your phone. This feature is a lifesaver! When I was looking for new jobs in Australia, I had no idea where I was going. Downloading a Map of Melbourne CBD, helped me get to my job interview on time. Open Maps, Go to the Three Bar Menu on the top Right, Tap on Offline Area> Download the Local Map or create a custom Map. Unless you’re already a guru of your new city and country, I always recommend a Lonely Planet Guidebook. We picked up a used book online, which was cheaper and extremely useful. It will help you navigate neighborhoods and will provide helpful tips. Pay off your debt or keep enough money in the bank for any bills on auto-payment plans. Junk mail can accumulate quickly, or you may have packages sent to you while you're away. Make sure to have you have someone to check your mail or pick up boxes for you. If possible, redirect items to your work, or place a hold on all mail to pick them up from the post office. There is nothing worse than coming home to a stinky house. Clean out your fridge and throw out your trash before you head out. Preparing for any travel or move overseas can be stressful, but hopefully, these key reminders help you plan a smooth departure. Now go and have another awesome adventure! Are you currently planning a trip or a move abroad? What are things you do to prepare for your trips? What things would you like to know before you move abroad?